Comment: Basement of a 7 year old home. Just under 880 sq ft of finished space. Limited bulk head/soffit work as mechanicals installed all together. Plans already approved, underground plumbing complete, and work ready to start. Comment: We currently have an all-wood staircase. We would like to refinish the staircase (paint and stain) and replace the banisters. Comment: Replace a crawl space door and install molding. Comment: I want a 6ft cedar privacy fence with lattice top approximately 9ft long and another matching one 10ft long on 2 sides of paver patio. Palatine Carpenters are rated 4.80 out of 5 based on 1,166 reviews of 58 pros. 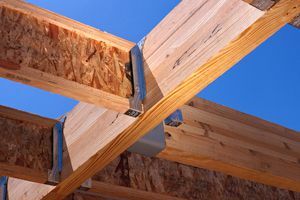 Not Looking for Carpenters Contractors in Palatine, IL?